Scientists Develop a New RNA Sequencing Approach to Advance Our Understanding of the Human Microbiome | What is Epigenetics? The human body is made up of about 100 trillion cells, but not all these cells are ‘real’ human cells. About one-tenth, in fact, are tiny organisms like bacteria, fungi, and viruses that live within us and on us. These organisms are collectively known as microbes and they play an essential role in human health and disease. Yet, exactly how they function and are affected by environmental changes is not entirely understood, and even less is known about how the human microbiome modulates host epigenetic processes. However, this may soon be changing as researchers from the University of Chicago Medicine (UChicago) have recently developed a new high-throughput RNA sequencing strategy to study the microbiome. In recent years, high-throughput sequencing technologies have become essential for studying genomics, epigenomics, and transcriptomics. As well, there has been increasing interest in exploring RNA modifications and their critical role in post-transcriptional gene regulation. We’ve previously reported on epigenetic studies where RNA methylation was found to be involved in memory formation and child development and how the most abundant modification, 6-methyladenosine (m6A), is being researched for its participation in DNA damage response among other things. 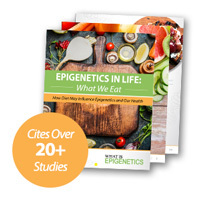 We’ve also highlighted epigenetic studies on the microbiome and how gut bacteria impacts certain epigenetic marks. The findings from this study, it seems, enhances the epigenetic researcher’s toolbox, putting RNA and the microbiome in the spotlight for further exploration. Prior studies have used high-throughput sequencing of 16S ribosomal RNA (rRNA) gene amplicons and shotgun metagenomes to characterize the diversity and potential function of the microbiome. However, these techniques may not be appropriate to fully comprehend the in situ composition of the various microbial communities. Tao Pan, PhD and A. Murat Eren, PhD, both professors at UChicago, believe that analyzing transfer RNA (tRNA) in a similar way may be more suitable to understanding the activity of naturally occurring microbiomes. The team has developed a direct sequencing approach called tRNA-seq and a software suite, tRNA-seq-tools, that can interpret the genetic information encoded in DNA into proteins that carry out certain basic biological functions. Their new strategy, which was featured in the December issue of Nature Communications, gives researchers a clearer picture of the activity of the naturally occurring microbiome, allowing them to study microbial responses to environmental changes such as temperature variation or nutrient availability. Using gut microbiome samples from mice that were fed either a high-fat or low-fat diet, they used their new technique to create a catalog of recovered tRNA molecules. They then traced these molecules back to the bacteria responsible for their expression and measured the tRNA chemical modifications that occurred following transcription. Bacteria tRNA has on average eight chemical modifications that adjust function. The tRNA-seq tool can detect two of these and measure the quantity of each modification. One particular modification, N1-methyladenosine (m1A), was found to be higher in the gut microbiome of mice fed a high-fat diet. This was an extraordinary finding, considering that no other study has been able to see any level of chemical change in tRNA in any microbiome. More than 100 modifications have been found in RNA and the m1A modification, similar to m6A, is considered a reversible modification in tRNA and mRNA. It has also been implicated in synthesizing certain types of proteins found more abundantly in high-fat diets. However, it’s not clear from this study if the modification disparities detected occurred in direct response to the diet or were already in place and merely activated to properly synthesize the proteins. While more research is needed to improve this new technique, fortunately, this study is just a first in a series of more microbiome projects expected from UChicago. It’s anticipated that large data sets generated by tRNA-seq will not only deliver vital insights into the microbiomes related to humans and the environment, but do so at a reasonable cost. Source:Pan T, Eren AM et al. (2018) Microbiome characterization by high-throughput transfer RNA sequencing and modification analysis. Nature Communication. 9(1):5353. Reference: UChicago Medicine. “New RNA sequencing strategy provides insight into microbiomes”. 17 December 2018 Web.